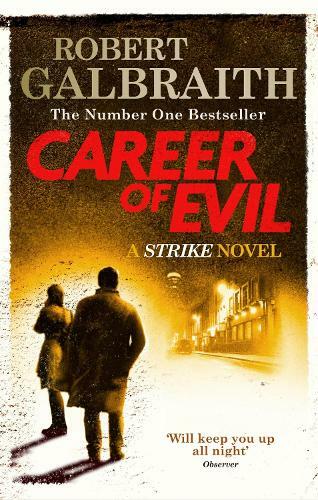 This is the acclaimed third crime novel by J.K. Rowling, writing under the pseudonym Robert Galbraith. The novels in the series so far are, in order: Cuckoo's Calling, The Silkworm, Career of Evil and 2018's Lethal White. Robert Galbraith is a pseudonym for J.K. Rowling, bestselling author of the Harry Potter series and The Casual Vacancy. J.K Rowling chose to write under a pseudonym to separate her work and so that her crime work would be received free from hype. The third Cormoran Strike novel and the best so far. Absolutely gripping with some great misdirection by Galbraith/Rowling and a heck of an ending . Looking forward to Book 4 . If you loved Prime Suspect I wish this had been available Great story .